The first rubber raft was made by Lt. John Fremont and Horace H. Day believed to be built it the 1840s. 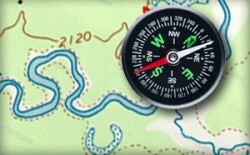 They planned to survey the Rocky Mountains and Great Plains. Although invented back then, it wasnʼt until the turn of the century that the first commercial rafting trip took place. On June 9, 1940, Clyde Smith lead a successful trip through the Snake River Canyon. In later years, John D. Rockefeller, Jr. constructed a modern resort hotel in Grand Teton National Park. In the late 1950s the lodge began offering float trips. They used surplus war rafts that were 8 ft wide by 27 ft long. Less than 500 people went that year but the demand started increasing. 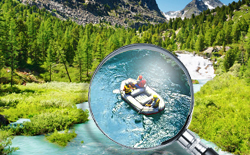 It wasnʼt until the 1960s and 70s that whitewater rafting companies started forming. In the 1972 Olympic games in Munich, whitewater rafting was included for the first time. Now whitewater rafting has risen to a popular sport and hobby, growing more and more every year. 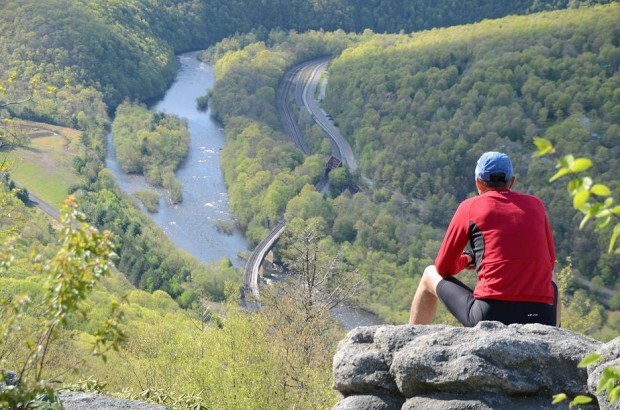 Back in 1791, a huge discovery changed the Lehigh Gorge and itʼs surrounding areas. In a small town called Summit Hill (just a few miles away from Jim Thorpe), a nearly pure carbon coal was discovered. It was anthracite coal. This brought a tremendous growth in the area and was considered to be the start of the industrial revolution. Areas all around the region started mining and new ways to transport the coal to major cities like Philadelphia had to be constructed. The Lehigh River seemed like a logical way to transport but the many rapids throughout posed a problem. Without Josiah White there wouldn’t have been such an amazing canal system on the Lehigh at the time. On the upper section alone, a 25 mile stretch from White Haven to Jim Thorpe, there was a series of 49 locks and dams. It reshaped the river and made it navigable by barges. This lasted for years until devastating floods in the 1860s destroyed the canal system after a survey of the damage the system was deemed unrepairable. After the floods, railroads replaced the canal system as the major form of transportation along the Lehigh River. During this time, there was a large demand for lumber from the region and most of the Lehigh Gorge was stripped bare of its old growth forests. This also brought in a large business for tanneries. The bark from the wood was used to color the leather. Along the Lehigh grew the second largest tannery in the US during the late 19th century. Although, it became its own demise when a large forest fire destroyed most of the region in 1875. During the turn of the century, a new type of business sprung up in the Lehigh Gorge. A resort was built in Jim Thorpe along the Lehigh River. The 47 room Hotel Wahnetah was a perfect getaway for people in Northeastern United States. The hotel prided itself on the beautiful hike to the Glen Onoko falls which became nearly as popular as Niagara Falls at the time. Unfortunately, the beauty of the hotel was short- lived. In 1911 it burned down in a major forest fire. The falls and their beauty still remain there and can be seen on hikes through this area. There are even remains of stone steps and foundations of old buildings. After lots of devastation, fires and the end of the coal era, the Lehigh Gorge was nearly forgotten. It wasnʼt until the Commonwealth of Pennsylvania purchased the railroad trail in the 1970s that the area became popular again. The tracks were eventually taken out and became a scenic bicycling path. In 1980 the area became known at the Lehigh Gorge State Park. 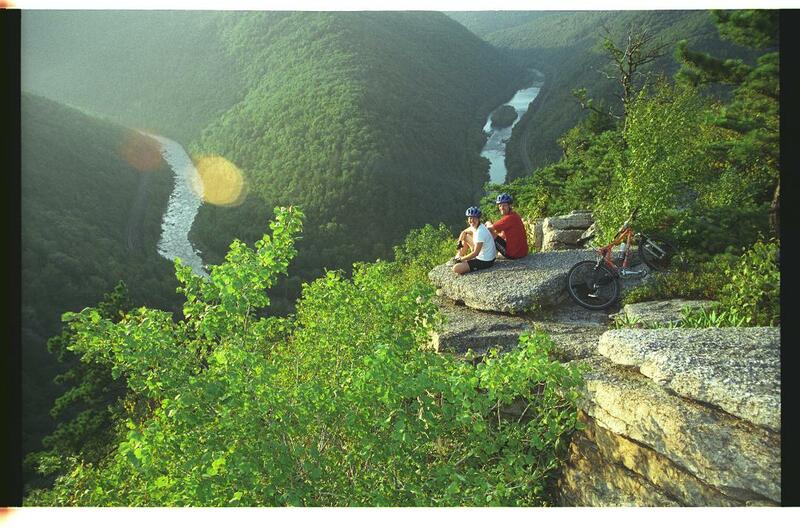 Above the Lehigh Gorge State Park is a significant structure that helps in the conservation of this beautiful park. The Francis E. Walter Dam in White Haven was built in 1961 and it has prevented millions of dollars in flood damage in the areas below it. The dam has also been a tremendous help for recreational whitewater industry on the Lehigh River but it wasnʼt until 1988 that the purpose of the dam was expanded to include both flood control and recreation. It was still a guessing game for many more years. Boaters and fishermen never knew when a release would take place. Finally, in 2005, it was realized that great benefits would be gained if water was stored in the spring and released in the summer. Scheduled dam releases now took place and trips could be planned easier and safer. 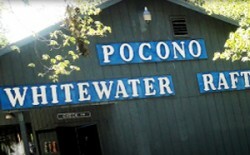 Whitewater rafting is now an icon and loved by many on the Lehigh Gorge!